The liner notes from Nils Frahm are written as a letter ("Dear beloved listener,...") in which the creation of the albums music and its title is explained. 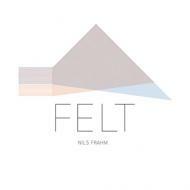 "Felt" was used by Nils to dampen his piano for nighttime playing in respect for his neighbours. But it turned out that Nils fell in love with the quietness and special beauty of this piano sound.